It’s probably no secret that I’m a huge veggie lover. Although I try to eat a well balanced diet consisting of a variety of colourful fruits and vegetables, there are some vegetables that I tend to play favourites with. 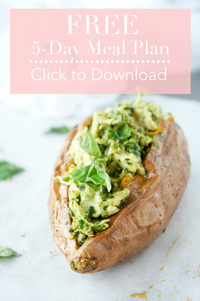 In the past, my go to veggie of choice was always spinach because it was quick and easy to throw on my plate. When I was going through my crazy spinach phase, my mom used to actually tell me to stop eating spinach because we were going through it too quickly. Although I still love my spinach, these days in our house, we’re ALL about the roasted vegetables. Have you ever tried vegetables roasted? If not, you are seriously missing out on the ULTIMATE way to eat your veggies. Nothing will make you crave vegetables more than the flavour of freshly roasted vegetables straight out of the oven. Nice, tender vegetables with slightly browned and crispy edges and flavour oozing out of each bite. Oh man, my mouth is watering just thinking about it. 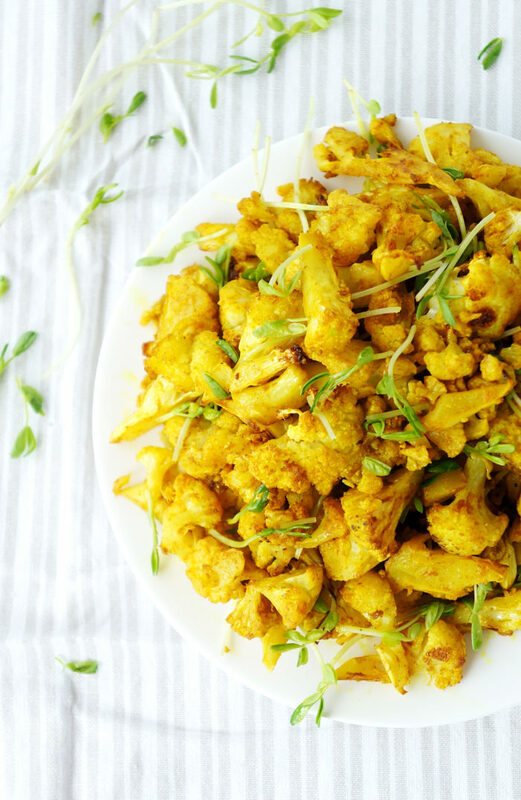 Lately, whenever I think about which vegetables to serve at dinner time, I tend to gravitate towards this roasted turmeric cauliflower. I mean, look at it! Doesn’t it just look like a party in your mouth?! Now there’s been a lot of buzz around turmeric over the past few years and reasonably so. Turmeric has an active compound known as curcumin which has been linked to a number of health benefits. It has been found to have anti-inflammatory properties that can help prevent swelling and joint pain and there have also been some findings that suggest that it may be linked to improved cognitive function, heart health and delayed cancer progression, although still more studies are required to make a clear link. Turmeric also adds a unique flavour and beautiful vibrant colour to various dishes, so it’s definitely worth incorporating. Now unlike turmeric, cauliflower often doesn’t receive the attention it deserves and tends to be a vegetable that is frequently overlooked for its health benefits. However, it turns out that it also packs a nutritious punch and is brimming with nutrients like vitamins A, C, and K as well as folate, potassium, and magnesium. 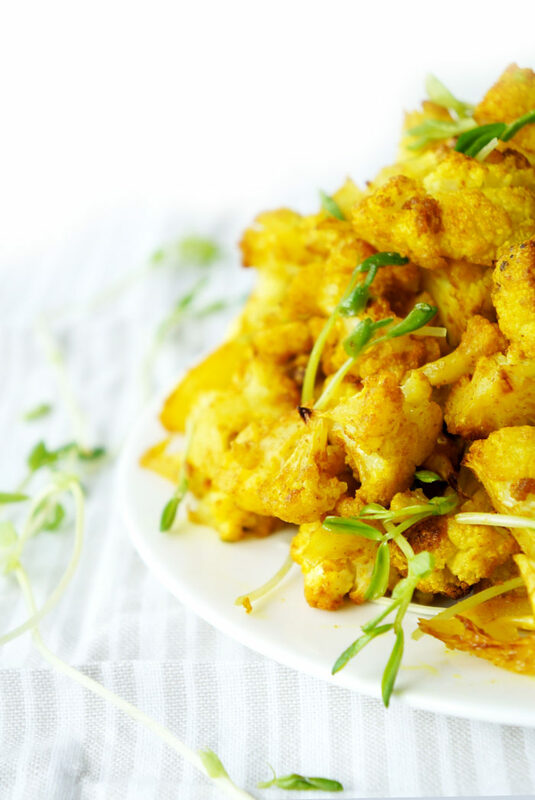 So it’s obvious that turmeric and cauliflower are both great additions to the diet from a nutrition perspective, BUT another thing I love about this roasted turmeric cauliflower is that it can solve a number of other food-related problems. First of all, if you ever get a craving for chips (who doesn’t?? 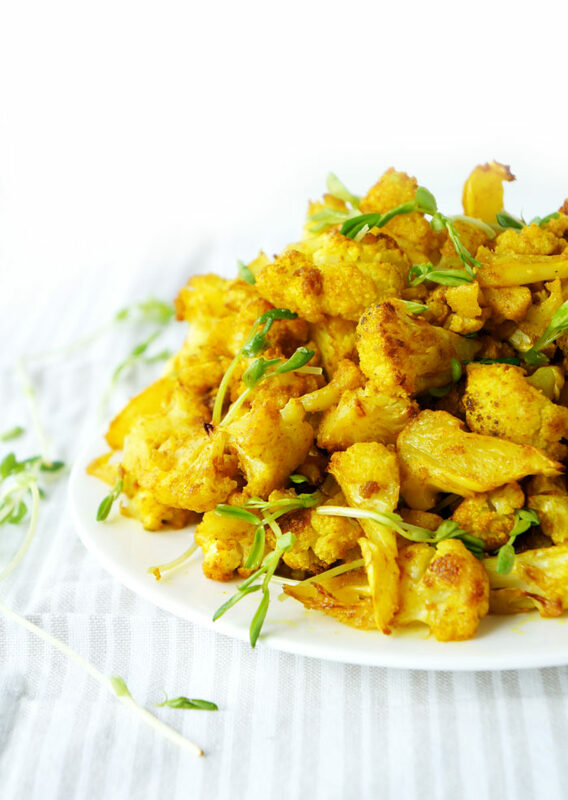 ), I recommend having a plate of this turmeric roasted cauliflower. Shortly after polishing that off, you’ll be saying….cravings? What cravings? It works every. single. time. And if you know any veggie haters (which I’m sure we all do), just pass this recipe along. They might soon discover a whole new way to not only eat, but LOVE vegetables. Or if you find that you’re frequently hungry shortly after mealtime, it might be possible that you’re not eating enough vegetables. 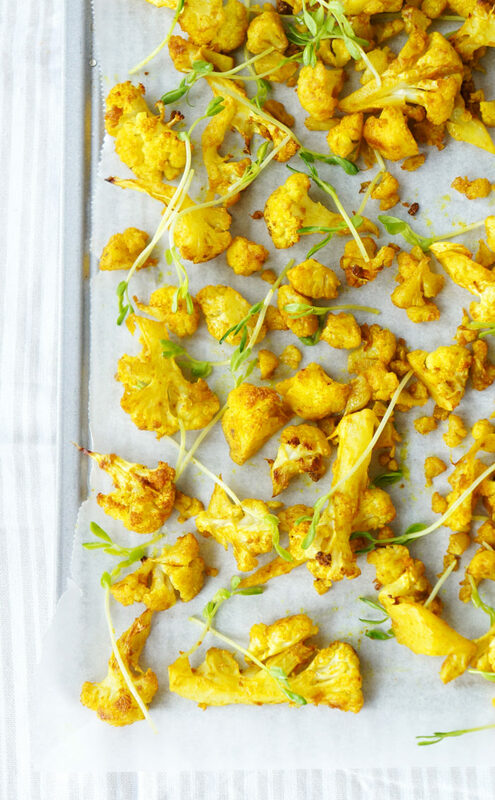 Fill half your plate with vegetables, like this roasted turmeric cauliflower. Hunger problem solved. 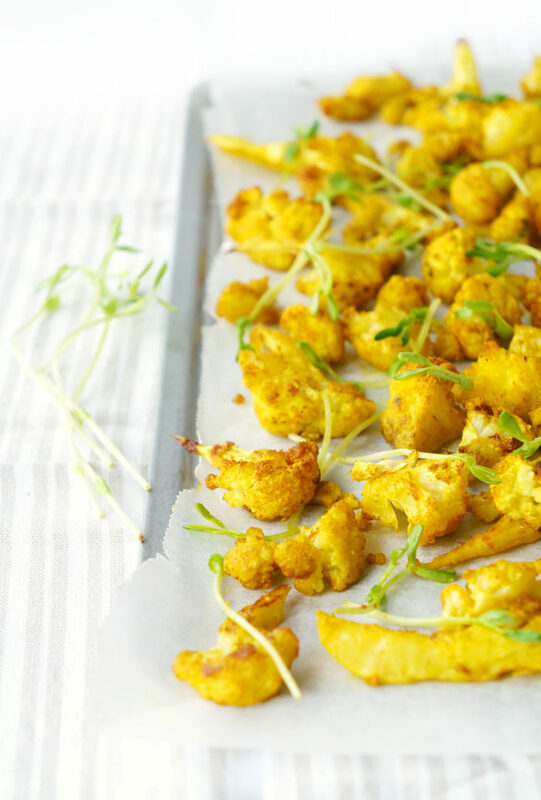 I told you this roasted turmeric cauliflower is seriously amazing stuff. Preheat oven to 400 degrees F. In a large bowl, mix cauliflower with all of the listed ingredients (except for the garnish) and toss until well combined. Spread cauliflower out evenly on a baking sheet in a single layer. Roast for 20 minutes. Remove from oven and flip cauliflower. Roast for an additional 10-20 minutes or until cauliflower is tender and slightly browned and crispy on the edges. Garnish with micro greens or cilantro before serving, if desired. Yum 😋 this recipe was so tasty. Almost sweet and salty. I love adding turmeric to my meals. Thanks for the recipe!